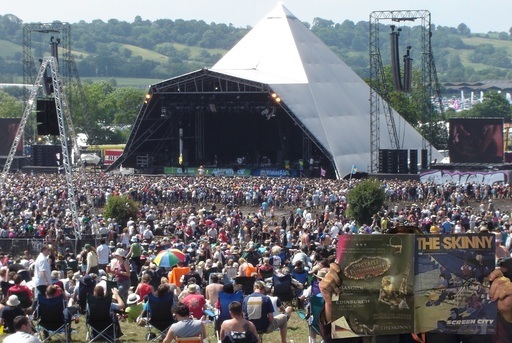 In honour of this month’s Festivals special, we’re off to one of the world’s premier festivals of performing arts via our Photoshop-powered time machine. We’d have taken a photo last year, you see, but this particular festival wasn’t running in 2018. This farm-based fest is pretty enormous – it’s got everything from giant flamethrowing spiders to tiny acoustic stages to some of the biggest names in music. In fact, the only thing it’s missing is some farmyard animals – the cows that live here the rest of the time are carted off elsewhere for the duration. Our snap comes from a Sunday afternoon down by the iconic Pyramid stage at the centre of the festival. Truly, we are not Worthy. Worked out where we’ve been? Fill in the form below and let us know; one eagle-eyed observer will win a hardback copy of The Ice House by Tim Clare courtesy of the party animals over at Canongate.